The Scoop: Many of today’s daters value interesting experiences and thoughtful date ideas, so you often have to get creative if you want to wow that special someone. Gotham Dream Cars gives people in New York City, Miami, Los Angeles, and Las Vegas a chance to pick up their dates in a luxury sports car and turn heads wherever they go. This unique car rental company puts you in the driver’s seat (literally) and allows you to cruise into your date in style. One of my friends had a preoccupation with fast cars when we were in high school. As a teenager, he saved up his money so he could trade his dad’s beat-up Volvo for a bright-red Mustang, which he drove around for a few months before trading that in for a sleek Mazda Miata. I have a lot of good memories cruising around with the top down in that car. He loved to drive his friends (mostly girls) around so he could show off his car’s speed and maneuverability. Looking back, it’s easy to see that my friend made an effort to own fast-moving convertibles because he hoped they’d help him get dates. Now he’s married, and he doesn’t even own a car. Singles try all sorts of things to impress their dates. Some put extra care in their attire, others douse themselves in perfume or cologne, and still others seek high-caliber vehicles to sweep a date off his or her feet. Of course, not everyone has the funds to drive around in their dream cars 24/7. That’s where Gotham Dream Cars comes in. 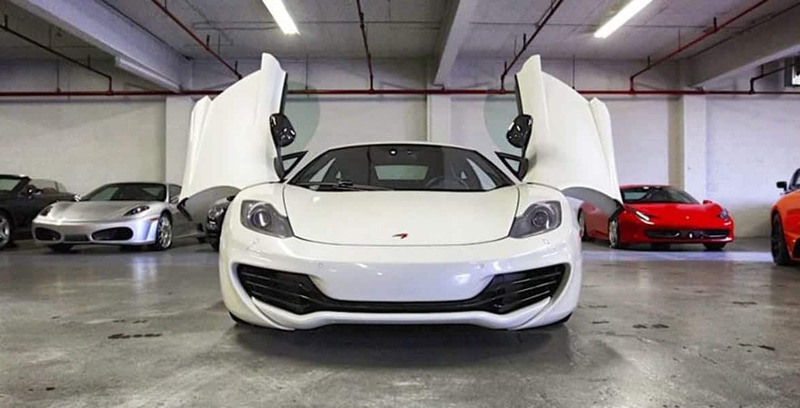 Gotham Dream Cars invites customers to rent exotic sports cars for an affordable price. Gotham Dream Cars is a unique rental company with access to hundreds of exotic sports cars in its fleet and partnering fleets. Now a Porsche convertible or Mercedes-Benz is within reach. You can take these beauties for a spin and create a memorable date experience with someone special. Couples can rent a two-seater sports car while on vacation (or just because) and zip about town together. This intimate and out-of-the-box date idea can elevate a birthday, wedding, anniversary, or special event. Thanks to Gotham Dream Cars’ ingenious rental plan, you can treat yourself to a sweet ride for a day and get a taste of the finer things in life — without busting your budget. The idea for Gotham Dream Cars began with an entrepreneur who wanted to rent a Ferrari. Just for fun. Just for a day. He looked around and found there weren’t any commercial options available. A reverse Google search revealed that 75 people a day were looking to rent exotic sports cars and coming up empty-handed. So, a pair of business-savvy car enthusiasts put their heads together to meet that demand. In March 2004, Gotham Dream Cars opened for business in New York City. The rental company has since expanded into Miami, Las Vegas, Los Angeles, and San Francisco. 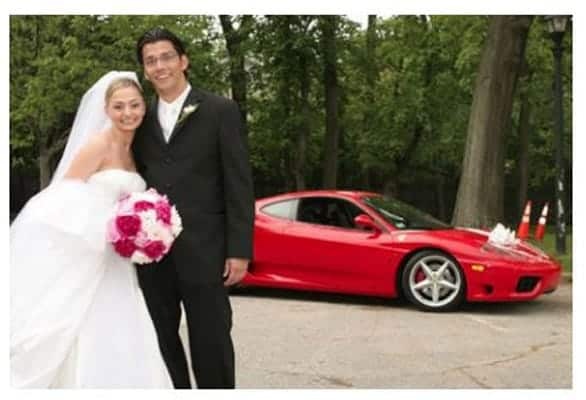 It has also hosted events in 25 major cities in the U.S.
Andre rented a Ferrari 360 Modena from Gotham Dream Cars for his wedding day and honeymoon. Rob has been at the helm of the company since its early days and has made a point to institute high-integrity services from start to finish. The company puts the customers’ needs first with its convenient rental system. All rental cars include up to 100 miles a day, so customers don’t have to keep an eye on the mileage as they zip about town. 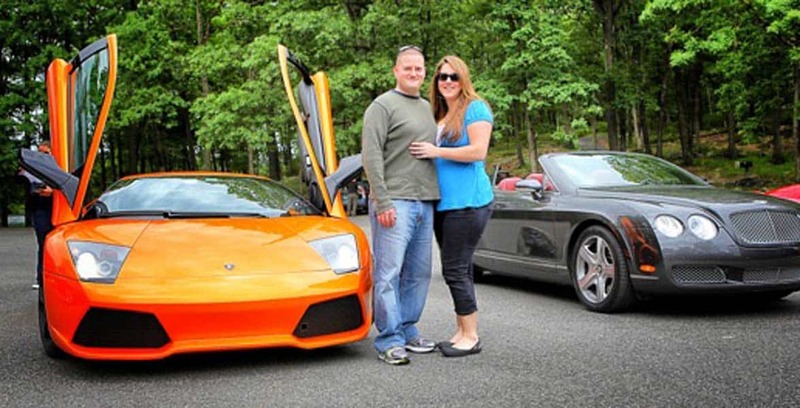 Gotham Dream Cars caters to singles and couples planning a special trip. It’s cars bring the wow factor and can enrich any journey. Maybe you want to make a splashy entrance on prom night, or maybe you want to travel to your honeymoon destination in style. Whatever your dream car scenario, Gotham Dream Cars can make it happen. Whether you’re looking for a strikingly beautiful sports car for date night or a vacation, you can discover tons of choice vehicles in the Gotham Dream Cars fleet. Some of the older models, like the Ferrari 458 Italia, are reasonably priced to suit car enthusiasts on a budget. Gotham Dream Cars puts its customers in the driver’s seat and empowers them to make the rules. Want to rent the car for a day? A week? A month? It’s up to you. Want to drive across the country and drop the car off in the middle of the night? The staff will work with you and make arrangements to pick up the car when it’s most convenient for you. Rob said as long as the customer is willing to pay a fair price for additional services, they’ll accommodate just about any request. All you need is a valid driver’s license and proof of insurance, and you’re off to the races. Drivers should note that Gotham Dream Cars doesn’t provide insurance packages for its car rentals because that just wouldn’t be cost-effective for such luxury cars. The Gotham Dream Cars team stands behind the quality of its remarkable fleet of sports cars. However, the Gotham Dream Cars team takes detailed before-and-after pictures to ensure customers aren’t held responsible for damage they didn’t do. Rob said he is proud of his company’s good reputation and does whatever possible to ensure customers leave satisfied with the quality of their rental experience. He wants the Gotham Dream Cars brand to be synonymous with top-notch customer service, and he sees to it that his team is equally invested in that goal. Since its founding, Gotham Dream Cars has changed what it means to be a car rental company, and it’s not afraid to switch lanes to offer once-in-a-lifetime experiences for customers. Its Dream Car Tour, for instance, takes people on a 120-mile road trip using six exotic vehicles. It’s three hours of heart-pounding excitement. Couples can go on an adventure on the highway in a Ferrari, a Bentley, a Lamborghini, and more. Rob handpicks the car lineup for the tours and arranges checkpoints about every 20-30 miles where drivers switch vehicles. Participants have a two-way radio so they can always get in touch with the Gotham Dream Cars team and its professional instructors if they have any questions along the way. The Dream Car Tour is a popular event that attracts couples seeking an adventure on the open road. Dream Car Tour participants are all smiles as they jump in and out of luxury cars and zip to the next checkpoint. It’s an exhilarating journey to take with a date, and the experience can make a birthday or anniversary that much more memorable. The Dream Car Tour has received glowing testimonials from customers saying they had a blast riding around in sports cars with their loved ones. My high school friend would’ve flipped for a chance to get behind the wheel of a Maserati, Ferrari, Corvette, or any of the sports cars in the Gotham Dream Cars fleet. He viewed such flashy rides as his ticket into the good graces of the women in his life, and he wasn’t wrong. A powerful sports car can make a powerful impression on a date and give you both an experience you can treasure for a lifetime. Rob said a majority of Gotham Dream Cars customers can’t afford to buy a Bentley or Rolls Royce themselves, but renting one gives them a chance to see what it’s like to drive such a luxurious car. Gotham Dream Cars has empowered everyday individuals to drive around in their dream cars, and active daters should definitely consider using this opportunity to take their significant others on an unforgettable ride.